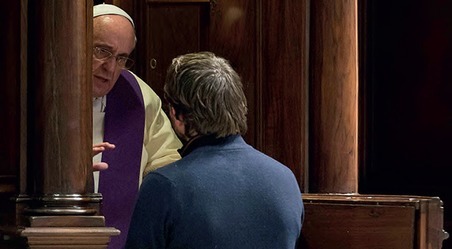 Recent figures show there is an upturn in priestly vocations in several western countries, especially the United States. How does a young man discern the call to priesthood? That was one of the questions Deacon Philip Cunnah attempted to answer in a talk given recently to the Canmore Catholic Society at St Andrews University. When we speak of vocation, we usually refer to a “calling” because the verb at the root of the word vocation means “to call”. Today in the typical parish this “calling” is understood as the call to priesthood or religious life. I’m sure many priests will have had similar experiences to myself when people ask us: “When did you receive the call?” This thinking isn’t unwarranted. The Gospels, for example, tell us the disciples were called by Christ on the shore of Galilee. Jesus called out to them: “Follow me and I will make you fishers of men” (Mk 1:17). And they answered his call to follow him in a particular way. This thinking can, however, limit our understanding of vocation, and if we look to an earlier text in the Bible we can put Christ’s call into a wider context that opens up our understanding of what it means to be called. You and I, then, are the result of God’s word: we are in a sense spoken into existence. So vocation goes to the heart of who we are because it’s there from the first moment of our existence and places us directly in relationship with God, who desires what is best for each of us, what will help us to flourish. So this is our first principle of vocation, that our life is pure gift from God and it’s in relationship with him that we flourish. Hence, we need to be praying regularly, making space for him. Notice that in the story of Genesis, to help Adam and Eve flourish, God speaks a rule to them, saying: “You may eat freely of every tree of the garden; but of the tree of the knowledge of good and evil you shall not eat, for in the day that you eat of it you shall die” (Gen 2:17). He nourishes them by this word because he knows the limitations and weaknesses of his creation. God knows what we need better than we do. Human beings are not self-sufficient, ready to take on the world all by themselves. We need God. Sin enters the world when Adam and Eve stop listening to God and instead listen to the voice of the serpent. When understanding vocation, it’s important to realise that there are a number of competing voices calling to us; discernment is trying to establish which ones come from God. Sometimes it’s our own selfish desires that are driving our way in life. Sometimes, its societal pressure that is pushing us in directions contrary to the Gospel. Discernment requires self-reflection and growth in self-knowledge to decipher between these different forces, so that we choose a path that really does lead to the sort of life God intends for us. Alternatively, think of a couple eating together while one of them is drifting off in a day dream. The other thinks: “Where are you? Will you share with me what’s going on in you right now?” If you spend some time in prayer, just allowing Him to start the conversation with you by listening to that question, “Where are you?”, you will be on that journey of vocation. Yet there is a Word that God speaks which eclipses all the rest. John begins his Gospel with a famous passage: “In the beginning was the Word, and the Word was with God, and the Word was God. He was in the beginning with God, and without him not one thing came into being. What has come into being in him was life and the life was the light of all people” (Jn 1:1-4). The Word that we are listening for in vocation is a person. We are made for relationship with Christ. He is the one who brings the “new law … [that we should] love one another as I have loved you” (Jn 13:34); who has come that “we may have life and have it to the full” (Jn 10:10). Our vocation grows out of a deep personal relationship with him and, in this respect, reading and praying with the Gospels is an invaluable help to discernment because there we see what Jesus calls people to and gain some insight into authentic vocation. First, Jesus goes straight for the heart. 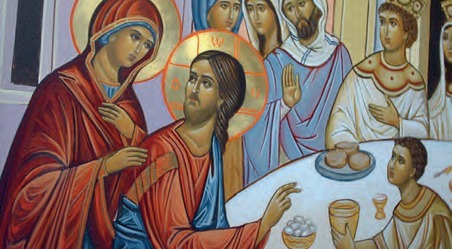 There are many times when his key question is “What do you want?” (Mk 20:21; Mk 10:51; Jn 1:38). This is not a disgruntled man who is fed up with people pestering him; it is Our Lord, who sees us more deeply than we do ourselves and who knows our greatest treasure is our heart. His desire is to capture our hearts. So vocation discernment is going to involve answering the question: “What do I want? What’s in my heart?”. And we can’t discern without entering into our secret place and being honest. So if you’re going to be a priest, you will have to sacrifice the chance of a family. And more and more women are finding it’s very difficult to have a career and be a mother. I’m not saying the traditional family structure is the only one, of course not, but we have to be realistic; and through listening to many women and reading numerous articles in newspapers it is clear there is a growing realisation of this fact. Yet, there are two important points to be made about this. One is that sacrifice is often an answer to the question “what do you want?”, because it’s in knowing what we are prepared to sacrifice that we know what is most important to us, what we truly want. The second point is that following Jesus really does mean just that, and the cross is the means to the resurrection and new life. For us, the cross never has the final word, but it’s through the cross that God is most powerful. Finally, Jesus invites us to trust him and not ourselves. This is the “stepping out of the boat” factor. When Peter recognises Jesus walking on the Sea of Galilee, he knows he has to go towards him, and Jesus’ call to Peter is “Yes, come” (Mt 14:28-33). Stepping towards Jesus in vocation can feel like stepping out of the comfort of the boat, stepping out of the comfort of a life where we are in charge and we can rely upon our own resources. There can be many fears about vocation based upon the uncertainty of what will come, but we have to allow Jesus to be free with us so that his providence can lead us. If this fear is holding you back, I would say that is not a genuine voice, but is the voice of the tempter trying to stop you from following him. Admittedly, Peter does fall in the sea, but don’t worry: Jesus saved him. Are we not perhaps all afraid in some way? If we let Christ enter fully into our lives, if we open ourselves totally to him, are we not afraid that He might take something away from us? Are we not perhaps afraid to give up something significant, something unique, something that makes life so beautiful? Do we not then risk ending up diminished and deprived of our freedom? And once again the Pope [John Paul II] said: No! If we let Christ into our lives, we lose nothing, nothing, absolutely nothing of what makes life free, beautiful and great. No! Only in this friendship are the doors of life opened wide. Only in this friendship is the great potential of human existence truly revealed. Only in this friendship do we experience beauty and liberation. And so, today, with great strength and great conviction, on the basis of long personal experience of life, I say to you, dear young people: Do not be afraid of Christ! He takes nothing away, and he gives you everything. When we give ourselves to him, we receive a hundredfold in return. Yes, open, open wide the doors to Christ – and you will find true life. Amen. In this whole process of vocation, there is a role for spiritual direction and close friends who can help you examine different parts of your life in the search of a genuine call. Very often we don’t see things quite so clearly from our perspective but others help highlight aspects of our life that we’re not aware of. Perhaps, so far in this talk, you’ve been waiting for me to be more specific about the different types of vocation, such as priesthood, religious life, marriage and the single life. I’ve avoided that in this first part because on the one hand we can’t begin to discern and hear our vocation until we take seriously the fact that we are made for relationship with God in Jesus Christ. He it is that will call us and strengthen us to follow. So until we know the answer to the question “Where are you?” and are making prayer a serious part of our life, talk of discernment is very difficult. Indeed, chatting to various priest vocation directors, a common theme is that few people are coming forward for priesthood largely because few have the faith foundation to build a vocation upon. On the other hand, I’ve started in this way because my experience of people living out their vocations doesn’t always fit easily into these categories. I’ve met a lot of people who are living out their vocation based upon a call to a particular mission. They wouldn’t call themselves committed singles: they’re just single for now and if God sends someone their way they’ll hope to get married, but right now they’re focused on the mission they feel God has called them to, such as the pro-life movement or renewing sacramental catechesis. A call to mission is an important consideration in vocation discernment. Deacon Philip Cunnah is a seminarian for the Diocese of Middlesbrough. He is studying for the priesthood at St Mary’s College, Oscott.